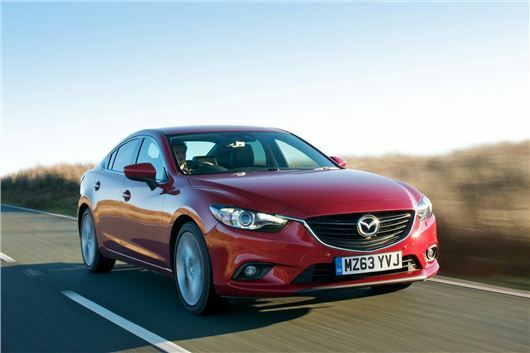 UK Car Discount has the following competitive deals on brand new Mazda6 saloon vehicles, where the buyer will be the first registered keeper. UK Car Discount is one of the UK’s leading online new car dealers, established since 2003, all vehicles are UK supplied with full manufacturer’s warranty and free delivery in mainland UK. SE-L models feature halogen headlights, front fog lights, front and rear parking sensors, privacy glass, power folding heated door mirrors, automatic headlights and windscreen wipers, front and rear electric windows, dual zone climate control, cruise control, push button start, 5.8 inch colour touch screen/CD/Radio/Bluetooth with 6 speaker. Sport models feature halogen headlights, front fog lights, LED daytime lights, rear parking camera, front and rear parking sensors, privacy glass, power folding heated door mirrors, automatic headlights and windscreen wipers, front and rear electric windows, dual zone climate control, heated front seats, cruise control, push button start, smart keyless entry, leather trim seats, 5.8 inch colour touch screen/Bluetooth and a premium Bose sound system with 11 speakers.